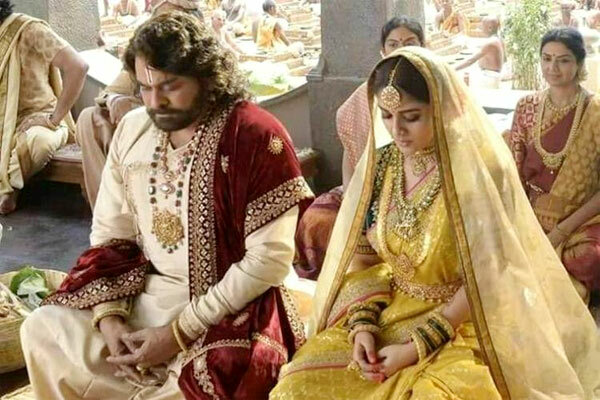 Mega Star Chiranjeevi’s upcoming entertainer Sye Raa Narasimha Reddy, a biopic on India’s first freedom fighter Uyyalawada Narasimha Reddy , directed by Surender Reddy is the most talked about as it also features Big B Amitabh Bachchan in an important role. Lady Super Star Nayanatara and Milky Beauty Tamannaah are playing female leads in the film produced prestigiously by Chiranjeevi’s son Ram Charan on Konidela Productions banner. Meanwhile, it is learnt that Nayanatara is relaxing her rules only for Chiranjeevi. As is known Nayanatara is known not to promote her films under any circumstances irrespective of the star cast. She feels if the story is good, it will automatically connect chords with the movie lovers and word of mouth is enough for the film success. Others say Nayan has taken the tough decision not to promote films as once she had a bad experience when her filmmakers did not compensate for her travel and boarding and lodging expenses. Now, Nayan on special request from Ram Charan who told her the significance of Sye Raa and the high budget involved readily gave green signal to promote the film. This is mega delight for fans of Mega Star and Nayanatara’s promoting Sye Raa will certainly beautify the film on all accounts.